Welcome to the Explosions Everywhere Blog Hop! If you have arrived from Sandra's at 365 Days of Cricut, then you're in the right place! If you're just stopping by for a visit, and would like to join in on the fun, go to Cricut Love to start at the beginning. 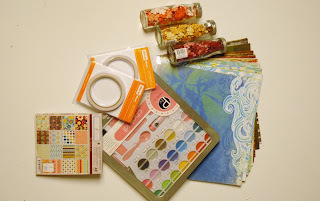 On to the blog candy (which I am actually very excited about, because it is the first time I have ever done a giveaway for all my wonderful followers! ): A Gypsy clutch, a polka-dot CB folder, and some cute flowers! Awesome right?! So don't forget to leave a comment! Thanks for joining us today! I hope you enjoyed seeing all the wonderful explosion boxes we had in store for you today! Have a safe and happy 4th of July! Super cute. Love the paper and the scene it he middle is amazing. OMG Roberta!! I am at a loss for words! This is just AMAZING!! Girl you are so talented!! I know your niece is going to love it, I would lol! Thank you so much for joing us for this hop!! that would take me a yr and a half to make! wow,that is fabulous! Can I be your niece??? p.s. come check out my 104 giveaway! What a beautiful explosion box. You always think of them layered with paper, but to have a display within (which is absolutely adorable by the way) is a different twist. Beautiful work. I love the paper and the work you did in the details is unbelievable!! I am so impressed!! You are a super talented lady!! TFS!!! I am a new follower! A new follower here. Your explosion box is adorable. Looked around your blog and just love all of your work. Glad I found you. I am happy to follow - your box is so cute - I remember those poppers! - What a great aunt you are. This is adorable! Love your little wagon with the Pop Its! My kids love those things. We gather everyone, including the adults and pass out a box to everyone and have pop it fights. Sometimes they do burn small holes in our clothes so I know this isn't very safe but it is so much fun. LOL I think I just lost my mommy of the year award with that one. LOL At least not with my kids. ;0) Thanks for sharing and new follower here. I love it! And I love the popits too!! I love your box and the idea to add Pop-Its. My boys loved those when they were small! What a great 4th of July themed box. The center is fabulous. You did an amazing job. New follower. Sooooo Stinkin Cute!!!! 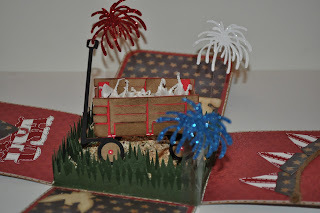 I LOVE the wagon in the center with the grass and fireworks! I think every kid loves pop-its!!! New follower, looking forward to seeing all your creations! Thanks for sharing and thanks for the chance to win! I have never done an explosion box so I am learning so much from this hop - I love the traditional colors you used and your project is wonderful! Oh MY! love it! adorable! That is awesome Roberta!! I just love that scenery and the vintage flag paper is gorgeous. Thanks for the inspiration! Oh my gosh, now I want to make one for my niece. hehehe, I want to but who knows. Happy to be a new follower. Happy to be in this hop with you. LOVE those fireworks and ESPECIALLY that little wagon! So So SO Cute! OMG, this is just so nice. I love the paper you used. Great job. I need to http://the3esblog.blogspot.com/try and make one of these. Your box turned out so cool. Love it! Wonderful bright colours and those fire works are amazing. TFS! Wow, what a neat explosion box - your details are amazing!! Perfect box for the holiday weekend, Love it. WOW the explosion box is STUNNING! I love it all thank you for sharing this beautiful creation. OMG! I love your wonderful explosion box. Wish I were your niece! Happy Independence Day, everyone! Love this box great paper and the surprise inside I remember them well so much fun! Love that little wagon and the fireworks too cute. Thanks for some great inspiration. WOW! I love all the detail! This is fantastic! Great explosion box! I love the fireworks in the middle and the colors you used. I'm sure your niece will with be very happy. I'm a new follower. Oh my gosh! This is soooo cute!!!! I love this idea! I'm a new follower (and fellow Circlet too)! I hope you will come by and check out my blog too! My e-dress is in my blogger profile <3 Thanks for the chance to win!!!! This is really an awesome explosion box. I am so amazes with all the boxes in the hop. Hope you all have a"Happy 4th of July". Fabulous Explosion Box!~ Love your inside theme. Thanks for the chance to win your blog candy. Fingers crossed. Love your box! The center is so cute! LOVE the fireworks around the little wagon!!!!! You have done a fabulous job!!! Now following!! TFS! I wish you could see the fits that I am having over your explostion box. I just made my first one last week, so I am crazy about them. I just showed this one to my DH and he said I have to "make one like that" lol! Great job! 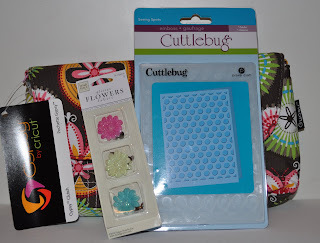 Hey stop by my blog I am giving awaw a Mickey & Friends Cricut Cartridge to one lucky follower! LOVE LOVE LOVE your box it's AMAZING!!!! I am a follower and Thank You for sharing this amazing box. 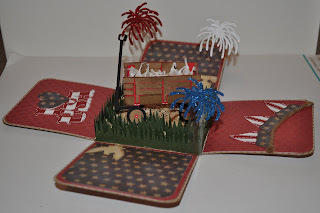 What an amazing job, love the middle of your box, so fun with the fireworks! TFS! I love your explosion box - especially the scene in the middle. Thanks so much for sharing. Ok so I have to say my favorite paper. I love the vintage look it has. Had fun hopping along you ladies did a great job! wow i love your box its super cute! thanks for sharing and the chance to win. Im a new follower cant wait to see what else you make! Have a very happy 4th! This is awesome! I can't believe how much detail you got into your box! What great explosion box..your niece is going to love it! I'm a new follower here and really looking forward to seeing more great projects. TFS! I am very impressed with your explosion box! Roberta! WOW I LOVE love love love love this. I love the pop-its powder how life like it is! That was just genius!!!! Great explosion box. This was a great idea! It was brilliant to put the Pop its in there. Really great job!!!! Roberta!! I totally love your box those fireworks are just a great idea! Thanks for joining Erika and me on this hop! Oh my Goodness!!! This is Amazing!!! I have been wanting to make an Explosion Box. I could never Create something so Awesome as this. You are so Creative. LOVE IT! LOVE IT! LOVE IT! I became a follower. Love your box. all the fireworks are pervect. This is absolutely adorable! I loves those pop it things too as a kid and secretly still do ha ha! I love your box it is super cute! This has been such a fun blog hop! Thank you for sharing your talent! Love the box! Thanks for sharing your creativity. Not sure if you remember, but sent me a .cut file to make a birthday explosion box for my sister...she loved it. They are so fun to make! Fantastic explosion box. Nothing screams 4th of July like the all time favorite Pop-Its. Great idea. I do not know what Pop-Its are, but will go look for them now!! Great box...loving the 4th of July theme!! TFS!! Cute cute Idea, love the colors and the inside. thanks so much for sharing. WOW WOW WOW! Amazing! The middle is adorable!!!! I'm impressed and I'm a new follower now! This is so cute! I love the patriotic surprise in the middle. Gosh, these look so complicated! I need to learn how to make these boxes!! The fireworks are great and what a thoughtful aunt you are. Thanks for the chance to win. One word . . . WOW!!!!!!!!! Very nice explosion box. Very patriotic. Thanks for sharing and inspiring. I love it and like the little part of ur childhood. A good touch. Great explosion box! Your niece is going to love it! Love the Fireworks!! Super cute. So Cute !! I love your inside suprize !! I'm now a follower!! The Explosion Box you made it great. Your a wonderful crafter!!! Thanks for sharing. I just became your most recent follower on your blog. I love your box! The 3-D surprise on the inside is amazing :) I'm a new follower. Can't wait to see what you make next! i think this is absolutely adorable! The explosion card is wonderful. Not tried to make one of those & may have to give it a try. Oh wow what an awesome box. Amazing!!! Oh Roberta, I love your explosion box. Everything about it is fabulous!!! Beautiful scene in your box. I like this box. I really like the way you did this one TFS. I became a follower also. That's an incredible scene you've created in the box! Wonderful project, TFS! Great Box!! Also good suggestions for using some of my cricut cartridges!!! Happy 4th!! Thank you so much for joining us at Scrappy Moms Stamps! I love the explosion box. Very creative. OMGosh, I have never seen your blog and I followed the hop and I am so glad I did. I LOVE this box!! The inside is amazing, you truly outdid yourself. I am your newest follower and I can't wait to see what you come up with next!!! How CUTE!!! I just love it, especially the fireworks going off and how they look like they are in the air. Great job. New Follower here! New to this blogging world! Just been around about 3 weeks or so now!! I'm loving it! Great Creation! I love it!! Just got my cricut expression a little over a week ago and I'm so excited to start creating more with it!! Great job. You've inspired me to try one myself... Thanks. Your explosion box rocks! It's beautiful. I'm a follower now. OMG! I love your box! The theme is perfect but I simple adore the center of it. It makes for a great decoration! Thanks for sharing! Great way to end the hop! Fabulous explosion box. I love how each one is so different from the other. Your wagon and fireworks on the inside is super cute. Great job. what a great spin on the exploding box - tfs! Your expolsion box is very patriotic & I remember those "pop-its" too. Nice way to turn it into a gift box! thanks for chance to win. Gorgeous box! I love the scene inside! I'm a new follower! Am a new follower and love this box.love the pop its too.. Thank you for sharing this box with us. Great explosion box! I love the center with the fireworks! Thanks for sharing! Truely Incredible. 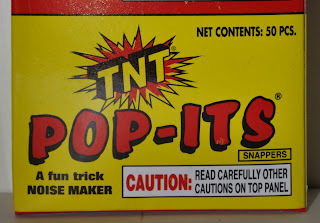 The Fireworks scene inside the Explosion Box and the Pop-Its Make me want to be a kid again..(haven't grown up yet..LOL). Words can not describe this fantastic blog hop. Thanks so much for shareing all your talents. I have many new thoughts in my Crafty mind for some Explosion boxes. I'll have to start simple then expand. By next year this time...All my family and friends will have enjoyed a new world of crafting with Explosion boxes. Have a wonderful and safe July 4th weekend. I will be back to check out more inspiring ideas. Happily Scrapbooking My Memories`S`andra V.
Your explosion box is super cute!...love all the exploding creations that pop out as soon at it's opened. Thank you for sharing. I'm a follower. Wow - adorable scene in the middle! I love this box. It is so clever and the colors are great. I am going to scraplift this. TFS and for a great blog hop. And, thanks for a chance to win. I love that gypsy clutch! I am just in awe I cant believe the box you made... it is amazing and so wonderful! Very nice! This was a great blog hop. Thanks for sharing. your box is incredible! TFS, I am sure it took a long time to make. Love the theme. Your scene is awesome. I am a new follower. Wowzers! Great job on the box. I love the fireworks. The poppers were my favorite too! TFS! Really cute explostion box for sure and I remember getting those little fire bombs too..
amazing project! thanks for playing with us at Scrappy Moms Stamps! I knew it! I knew right away it was Pop-its! Too funny. Love the explosions in the middle. Great job! I love this! Can't believe all the detail inside...a true labor of love and work of art. Thank you so much for sharing. I am a new follower!! Great job, love the little wagon inside!! I absolutely love your box! What a cute idea. I love your box!! I'm already a follower. Holy Moly!! That is some explosion! u are very, very talented and patient! I love your project. I am a follower. I have added your blinkie to my blog and thanks for sharing. I hope you can stop by my blog become a follower, leave a comment and grab my love button. Love this adorable explosion box! Full of great memories for you, your niece, and those of us who grew up going with our families to see the fireworks :) Thank you so much for sharing! Wow! The explosion box is absolutely Beautiful! Love how patriotic it is :-) Amazing job! I'm going to have to go back and look at your box again - I was so caught up in the middle scene, I forgot what the sides look like!! Amazing, incredible, fantastic scene! What fun to look at, and what fun it'd be to win the Gypsy clutch, etc. (fingers crossed). YOU DID A FANTASTIC JOB!!!! I LOVE that paper! Love your work. YOu do such a great job. Your box is amazing! I love it! This is my first time to your blog...I am now a follower! 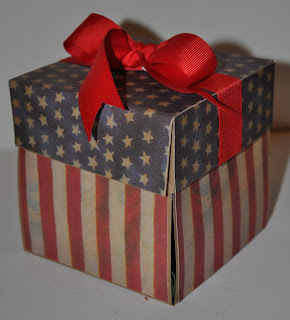 I love your Patriotic explosion box. The fireworks are awesome. I am a follower. Love the paper you used on your box outside! The inside is fantastic . . . such cute fireworks. I love it! Great paper. You did a wonderful job on this explosion box. This box is AWESOME! I love your blog!